In addition to sustainable energy solutions, Hawaii Design Group also designs edible landscape designs supported by a Verma casting and an enclosed fresh water, fish producing aquaponics system. Perma Culture systems can be customized to each individual projects size and family’s needs. 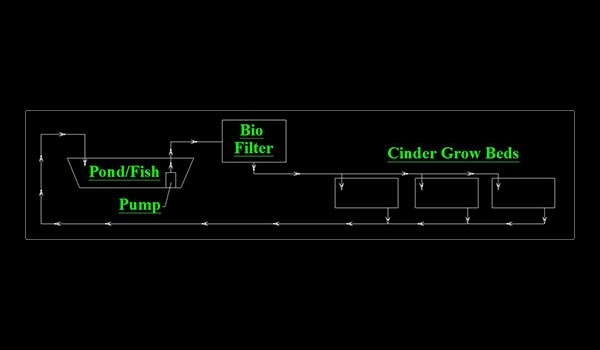 Fish production produces ammonia in the pond water which is sent through a Bio Filter system which converts the Ammonia into nitrates. Nitrate rich water is then passed through Cinder grow beds which promote faster growing times and organic vegetables. Nitrate rich water is then returned to the fish pond to start the cycle again. This enclosed system saves water consumption while producing high quality Fish products and organic vegetables while losing 2% of the water volume to evaporation per month. The system utilizes a 15 amp marine grade pump which consumes typical electricity at a rate of 2 cents a day. Perma Culture or Aquaponics has been in use around the world and is gaining popularity in recent times as cost of food and energy steadily rise. Here at Hawaii Design Group we have taken these alternative sustainable designs methods and integrated these systems into the architecture of and design of your home in form of beautiful water features and gardens. 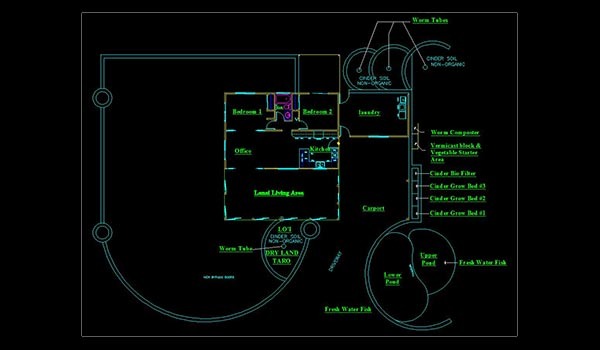 Hawaii Design Group can also retrofit any existing building with these types of systems while maintaining the existing buildings aesthetics and adding water features and edible landscaping which ultimately increases the property value in several different ways.